Let’s “ta-co” about it on the Dating Donut Cruise! 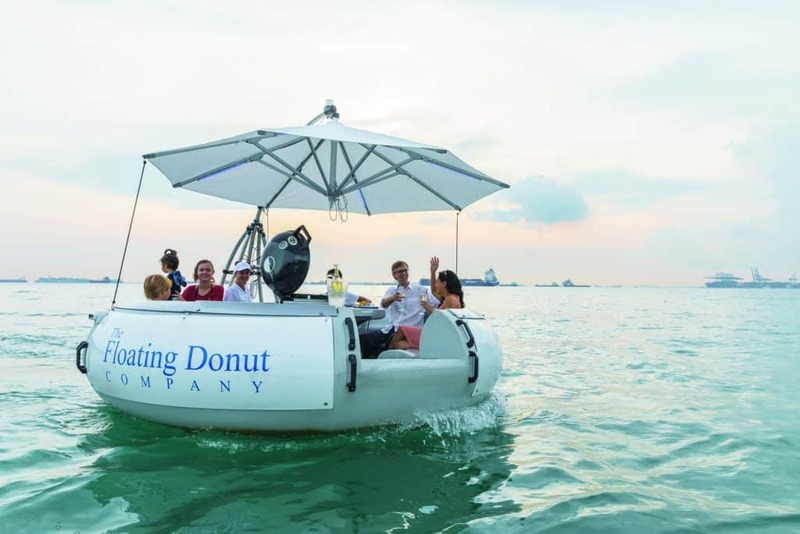 Chill out at the sea with new like-minded friends on a donut boat while learning how to make tacos on board. What a ‘specta-colar’ day out! Facilitation by certified Dating Practitioners. Payment can be made via Visa, Mastercard or Bank Transfer. For bank transfer, please contact events@fabriquelove.com. Fabrique reserves the right not to accord the discount if the code is not keyed in. Full event details will be sent to you via email closer to event date. You need to be above 21 years old, unmarried and / or legally free to form a relationship under the Singapore Registry of Marriages. All events are open to Singapore Citizens, Permanent Residents and Employment Pass (EP) Holders only. Event is based on first-come-first-served basis. Your attendance will only be confirmed upon receipt of full payment. Fabrique will take reasonable effort to ensure events are conducted safely, however you expressly agree that your participation in any event is wholly at your own risk. Fabrique will not be liable for any accidents, loss or damage suffered by you while attending the event. Fabrique will make every reasonable effort to adhere to the events scheduled, Fabrique reserves the right to change event dates, location/sites and/or programme components as it deems necessary and in such instances, no refunds (partial or full) shall be allowed. Please read our full event Terms & Conditions before signing up for our events. If you withdraw from the event 2 weeks before the event, we will refund 80% of the event cost, 20% being the administrative fees. In the event that we cancel the event, full refund will be given. If you withdraw from the event less than 2 weeks from the event or did not show up, no refunds will be given. Please read our Refund Policy before signing up for our events. If you are utilising the $100 credits, please key in promo code (SC19XFAB50) in the promo code field upon payment. If you do not have sufficient credits, please pay the full amount first and our events coordinator will be in touch to refund you the excess. Sign Up For A Complimentary Dating Consultation Here.